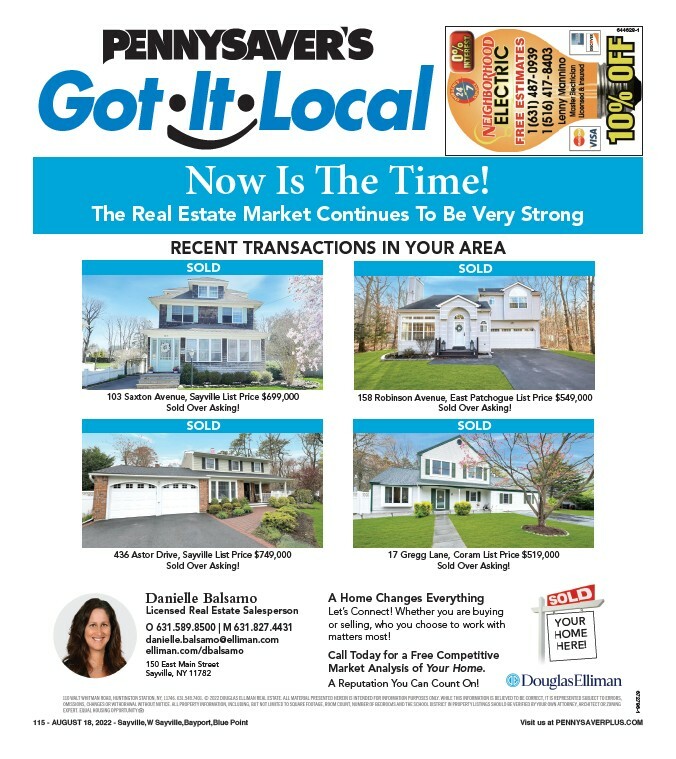 115 - April 25th, 2019 PennysaverPlus.com 469128-1 Susan R. Brennan Agency (631) 288-5777 Fax (631) 288-2131 606C Montauk Hwy., Bayport, NY 11705 SusanRBrennan@allstate.com Let me help protect you before mayhem strikes. From a tree branch falling on your car during a windstorm to a GPS that sends you the wrong way down a one-way, mayhem can strike anytime. So get an Allstate Agent like me who knows how to help you make sure you’re protected. Don’t wait – call me today!